The Hidden Gardens of Bury is held every year on the third Sunday in June and all money raised is given to St Nicholas Hospice Care. Bury St Edmunds has many fine and historic buildings, but Hidden Gardens gives people the chance to discover the secret patios, lawns, borders, vegetable gardens, greenhouses and other features behind their facades and high walls. All the gardens are in the town centre and within walking distance of each other, although with about 30 different ones to see you may want to concentrate on a handful and take a break to soak up the garden party atmosphere and enjoy the refreshments on offer. Some of these gardens have been tended for many generations, while others are only now coming to maturity or are still very new. Be prepared to be surprised and inspired. Thank you to all who helped raise a blooming marvellous £19,056.87 in 2018! 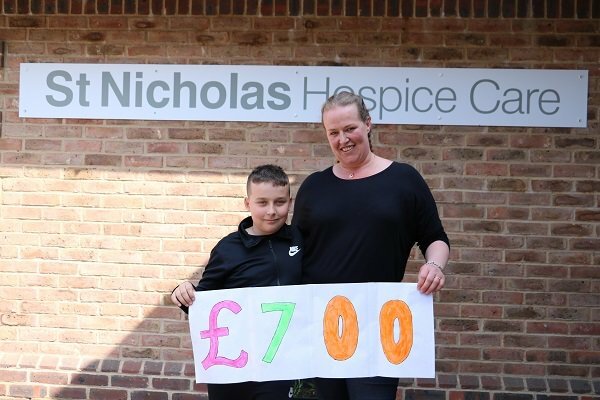 Well done to 11-year old Tyler, who raised £700 for the Hospice by cycling and walking 13 miles from his home in Red Lodge to our Hardwick Lane site in Bury St Edmunds. 2019 will be the 33rd year of Hidden Gardens and it has now raised over £350,000 for the local hospice. We hope you will enjoy being a part of this wonderful summer event which raises money for such a good cause. Most of the gardens belong to old properties where there may be steps, so please take care.